Had a chilly and windy Third-Tuesday Guided Walk in Mill Creek Marsh this morning with Bergen County Audubon Society. 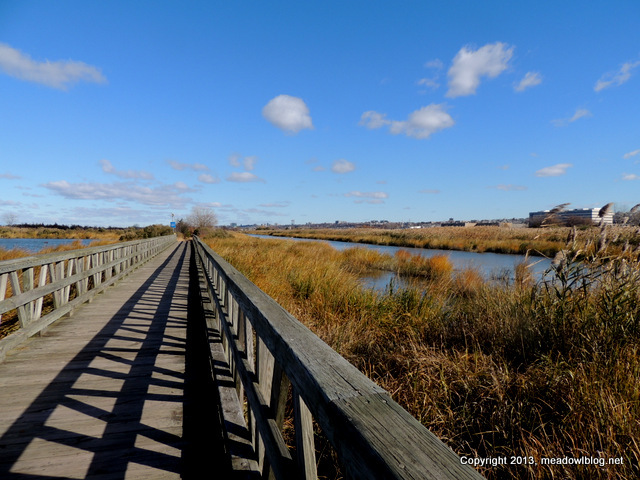 I was in Mill Creek Marsh on Monday. High tide was at 9 AM so today’s walk should have a high one. 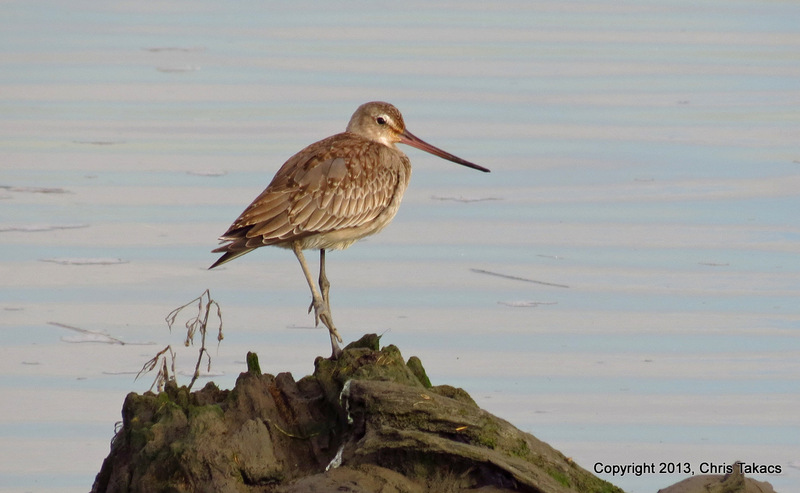 Hudsonian Godwit continues in the second pool on a large log best seen form the trail near the turnpike. (Chris first foundd the bird last week — photo above). Over the weekend a Clay-colored Sparrow was seen on the trail entering the park, near the parking lot. Orange-crowned Warbler was seen Monday at the second dead end trail. 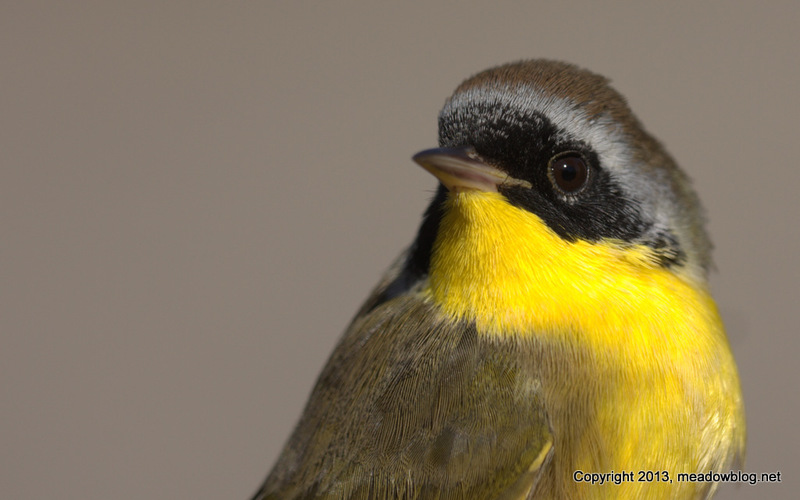 We thought we’d make the penultimate bird-banding teaser an easy one. Who is this masked bird? Warning: Next Tuesday’s teaser-palooza will be a real toughie. This entry was posted in Uncategorized on November 19, 2013 by Jim Wright.